So, in the end, to no great surprise, Burnley did not use the January transfer window to strengthen the squad significantly before what promises to be a tough and tight relegation battle that could well go down to the wire. 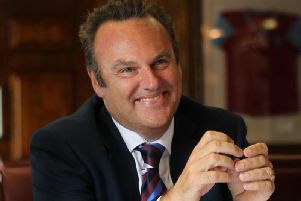 There was plenty of disappointment from Clarets fans on social media, especially from those who get caught up in what, Kiko Rodriguez, football agent and son of former Claret Jay, last week called “the show business” of deadline day. All day, Sky Sports News, was telling us breathlessly that the Clarets were chasing after Birmingham City striker Che Adams and by the time the market closed, the club were reported to have made four bids to his club. Let’s be honest though, most of those venting on social media, probably had no idea who Che Adams was before the rumours began. Even those who still keep a keen eye on the Championship would probably struggle to put a valuation on the player. The Clarets, more specifically the money men at the club, obviously had their valuation of the player and weren’t willing to pay over the odds for him. I’ve no problem with that and nor, I suspect, do most fans who understand that for all the eye-catching revenue numbers in the Premier League, Burnley remains a club that must watch its expenditure tightly. There is no ‘sugar daddy’ at Burnley, able to open his wallet or guarantee to cover losses. Personally, I would have looked elsewhere in the squad for strengthening. There is plenty of cover at the back, several options out wide and up-front, but there are much fewer alternatives in the vital central midfield area. At the moment Jack Cork and Ashley Westwood are in excellent form, relentlessly covering the ground, winning the ball and using it intelligently. Should they pick up injuries or suspensions in the next three months, there is precious little back-up. the club, playing on the right side, and while he can operate in a central role, lacks the defensive bite needed in a two-man central midfield. It wouldn’t have required a massive investment – just another body, another option, someone who could do a job if called on. Of course, deadline day, didn’t quite pass without some movement at Turf Moor. As widely expected for some days, Sam Vokes moved out to Stoke City and, more surprisingly, Peter Crouch headed in the opposite direction. The near-universal reaction from fans to the Vokes exit was an understanding that the player, restricted to the bench for some while now, wants and needs first team football. But that feeling was tinged with some sadness to see him depart and related to that a genuine sense of appreciation for his years at the club. ‘Big Sam’ is a great lad who always had time for young fans, stopping for photographs or autographs with them outside the ground. He was always a player who those of us in the media could have a good chat with and I won’t forget talking to him in the basement of the Stade Pierr Mauroy, in Lille, after his superb header had completed a shock 3-1 win over Belgium in the Euro 2016 quarter-final, when he stopped and talked with such enthusiasm about how similar his national team’s spirit was to that of Sean Dyche’s Burnley. Crouch, however, had the desired impact, showing that Burnley might not spend like the others, they might not always deliver in the transfer market, but one thing we can say for sure is that when Dyche brings a player in, they usually have the right attitude and mental approach – and in the tense weeks to come, that character will certainly be needed.